Most people have heard about the negative effects that secondhand tobacco smoke can have on people who are around smokers. But did you know about the effects that secondhand marijuana smoke can have on your or your loved ones? Next time you think about lighting up near your friends and family, consider just how you might be affecting their health. What are the Health Effects of Secondhand Marijuana Smoke? Scientists and researchers are still trying to figure out the full extent of health effects that secondhand marijuana smoke can cause. Recently, a study done by the University of California found that blood vessel function on lab rats dropped by 70% after just half an hour of exposure to secondhand marijuana smoke, which is similar to results found with secondhand tobacco smoke. However, when exposed to secondhand tobacco smoke, the rats regained normal blood vessel function after 30 minutes; with secondhand marijuana smoke, the rats didn’t regain normal blood vessel function until more than 40 minutes after exposure. Researchers are still working to figure out the long-term health effects of secondhand marijuana smoke, but they do know that secondhand marijuana smoke contains harmful and cancer-causing chemicals. This means that those who are exposed to secondhand marijuana smoke face many of the same health risks as those who are exposed to secondhand tobacco smoke, such as aggravated and irritated lungs, an elevated risk of heart disease and the reduced ability to take in and use oxygen. How Does Smoking Marijuana Affect the Body? Marijuana has been found to irritate the lungs and increase the risk for lung infections, slow down reaction time, impair judgement, accelerate one’s heartbeat and slow down the immune system. More research needs to be done on how smoking marijuana affects the body long-term; since marijuana use has been illegal in most of the United States for a long time, large scale and long-term studies have been difficult to conduct. As legalization becomes a hot topic in the country, we will likely see more studies being conducted on the health effects of the drug. Can You Get a Contact High From Secondhand Marijuana Smoke? 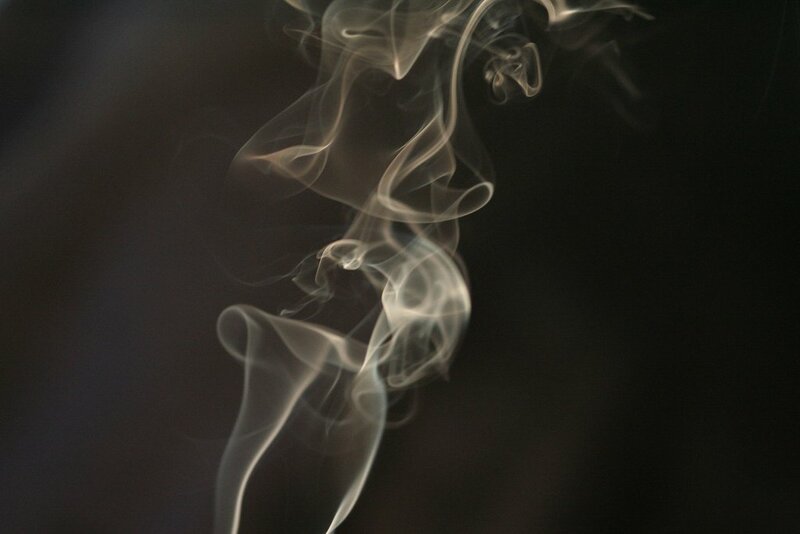 A recent study done by John Hopkins Medicine found that secondhand exposure to marijuana smoke under “extreme conditions” (such as in an unventilated room or enclosed vehicle) may causes non-smokers to feel the effects of marijuana. They might have minor problems with memory and coordination and in some cases test positive for marijuana consumption in a drug test. Luckily, those exposed to secondhand marijuana smoke only tested positive for the drug if the drug test was administered within a few hours of secondhand marijuana smoke exposure. Furthermore, none of those who were exposed to secondhand marijuana smoke tested positive for THC (the chemical responsible for marijuana’s psychoactive effects), mainly because studies have shown that very little THC is released back into the air when a marijuana smoker exhales. Now that you have a better idea of how being around someone who is smoking might affect your health, make smart decisions when someone decides to use the substance. If you’re thinking about lighting up yourself, remember that smoking marijuana can affect those around you and you need to respect their health and safety.